We all want to meet people from history. The trouble is everyone is dead! So it’s time to prepare yourselves for two amazing shows with Horrible Histories live on stage !From the horrible Henries to the end of evil Elizabeth, hear the legend (and the lies!) about the torturing Tudors. Find out the fate of Henry’s headless wives and his punch up with the Pope. Meet Bloody Mary and see Ed fall dead in his bed. Survive the Spanish Armada as it sails into the audience! Buy tickets here. We all want to meet people from history. The trouble is everyone is dead! 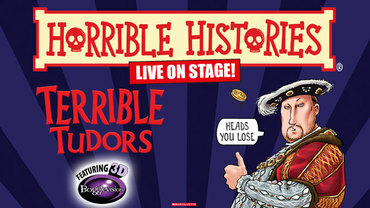 So it’s time to prepare yourselves for two amazing shows with Horrible Histories live on stage! Suitable for ages 5 – 105. From the fascinating Pharaohs to the power of the pyramids, discover the foul facts of death and decay with the meanest mummies in Egypt. Are you ready to rumble with Ramesses the Great? Dare you enter through the Gates of the Afterlife? It’s the history of Egypt with the nasty bits left in! Tickets here. 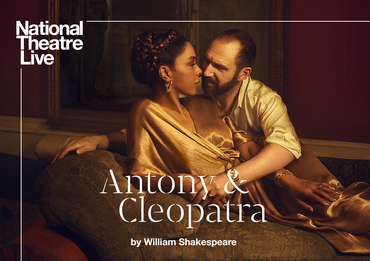 Broadcast live from the National Theatre, Ralph Fiennes and Sophie Okonedo play Shakespeare’s famous fated couple in his great tragedy of politics, passion and power. Caesar and his assassins are dead. General Mark Antony now rules alongside his fellow defenders of Rome. But at the fringes of a war-torn empire the Egyptian Queen Cleopatra and Mark Antony have fallen fiercely in love. In a tragic fight between devotion and duty, obsession becomes a catalyst for war. Director Simon Godwin returns to National Theatre Live screens with this hotly anticipated production, following broadcasts of Twelfth Night, Man and Superman and The Beaux’ Stratagem. Tickets here. Nativity scenes or cribs as we know them today found their roots in the 1300s. They started as display pieces for Italian churches. Often made out of terracotta, these early Nativity sets were displayed year round. Since then they have evolved into a wonderfully diverse variety of artistic scenes. In this lecture we will be looking at the art form of the crib from the carved masterpieces of the medieval era to the extraordinary semi-pagan variations of South America. Christmas will never be the same again! Tickets here. Direct from their sold out tour last year, The West End At Christmas return to Theatr Brycheiniog with their brand new show for 2018! 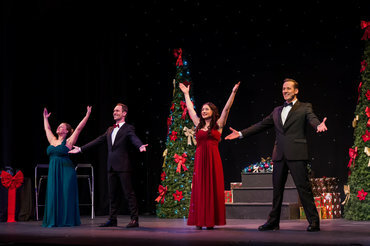 Stars from the West End present a magical evening of entertainment featuring hits from the musicals and the best of Christmas song. The talented cast have starred in many West End productions and national tours including Les Miserables, We Will Rock You, South Pacific, Singing in the Rain, Starlight Express, Phantom Of The Opera, Wicked, Godspell, Joseph and Cats… to name but a few! Buy tickets here. A Christmas Carol – Chapterhouse Theatre Company. By Charles Dickens. Adapted by Laura Turner. On Christmas Eve, the most magical night of the year, the miserly Ebenezer Scrooge is whisked away on a terrifying journey through the past and into the future, accompanied by three fearsome ghosts determined to make him realize the true meaning of Christmas. Charles Dickens’ classic ghost story is brought alive in this most traditional of productions, complete with beautiful period costume, song, dance and a magnificent musical score. Join critically acclaimed theatre company Chapterhouse as Scrooge’s frozen heart begins to melt and he finally embraces the festive spirit in this most Christmassy of Christmas tales. Only Men Aloud have asked their very loyal fan group what their favourite songs have been from over the past ten years, and many of these will feature in the Decade Tour. Tickets here. 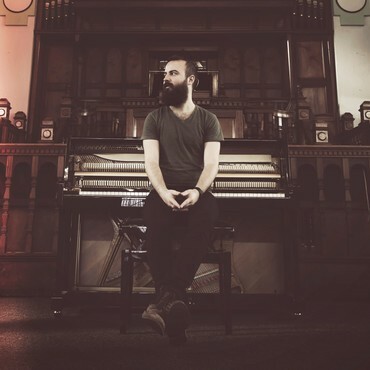 frontman MATTHEW FREDERICK blends an early love of Billy Joel and Elton John with more recent influences including Ben Folds and John Grant. With live shows in the UK, US and Europe under his belt, the South Wales musician has also made numerous festival, television and radio appearances – gaining airplay from BBC Radio 1 and 6 Music amongst others – as well as recording at London’s iconic Maida Vale Studios, performing with the BBC National Orchestra of Wales and being shortlisted for the Welsh Music Prize following the release of the Trees’ second album, the much-anticipated and critically-acclaimed ‘Borders’. John has been in the Brecon area for over twenty years, and has played and sung in most places, especially the Brecon Jazz, the Brecon Fringe and the Brecon Baroque Festival. He is originally from Nottingham, and has several albums, including the concept album, Beyond The Oak and Tales of the Burning Heart. He has recently collaborated with the poet, Huw Parsons, and is currently working on projects with John Stuart Hogg. This entry was posted in Theatr Brycheiniog, Uncategorized and tagged brecon beacons, Theatr Brycheiniog, what's on. Bookmark the permalink.